The refreshed Mercedes-Benz E-Class was recently introduced in Malaysia, now with a 48V EQ Boost mild hybrid variant. 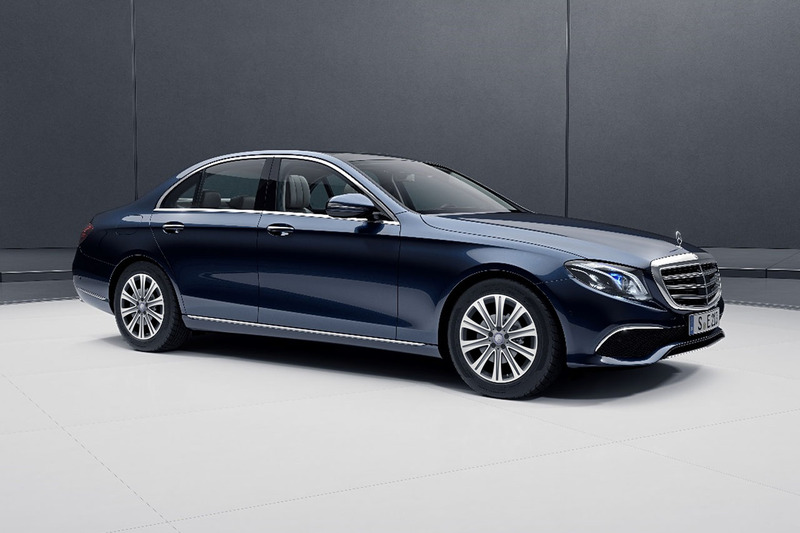 The revised E-Class range, sans plug-in hybrid E350e, has three variants in total against archrival BMW 5 Series' two - the 530i and 530e. We take a look at how the E-Class fares against the 5 Series. 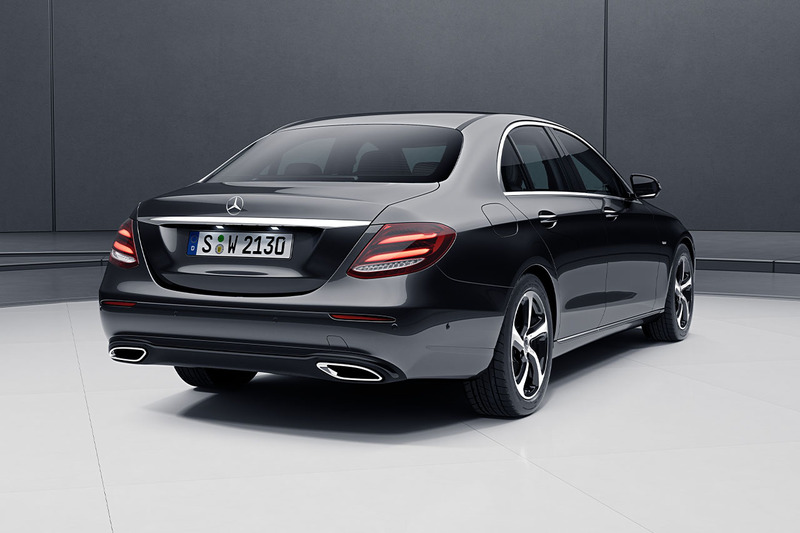 Kicking things off is the Mercedes-Benz E200 Sportstyle Avantgarde. Priced from RM 329,888, this model goes head-to-head against the BMW 530e, which is priced at RM 328,800. Under the hood of the E200 is a new 2.0-litre four-cylinder petrol engine that churns out 197 hp at 5,500 rpm and 320 Nm at 1,650 rpm, allowing for a nought-to-hundred time of 7.5 seconds. A nine-speed 9G-Tronic automatic transmission sends power to the rear wheels. As for the BMW 530e, this plug-in hybrid is powered by a 2.0-litre turbocharged four-cylinder petrol engine that does 181 hp at 5,000 rpm and 290 Nm from 1,350 rpm to 4,000 rpm, hooked up to an electric motor that contributes another 113 hp and 250 Nm, allowing for a combined system output of 252 hp and 420 Nm. When paired to the eight-speed automatic transmission, the BMW 530e is good for a 6.2 second century sprint, maximum performance is only possible if the vehicle is fully charged. In terms of safety, the Mercedes-Benz E200 is fitted with seven airbags, including a driver’s knee airbag. The E200 also includes Active Brake Assist, Collision Warning, and Blind Spot Assist, in addition to ABS, EBD, Brake Assist, and Stability Control. The BMW 530e is also comparably well equipped, offering Lane Change Warning, Blind Spot Monitor, Forward Collision Warning with Pedestrian Detection, and six airbags. Moving onto the infotainment system on both cars, the Mercedes-Benz E200 is fitted with a 12.3-inch touchscreen display with Android Auto and Apple CarPlay compatibility. On the other hand, the other German rival gets a slightly smaller 10.25-inch touchscreen infotainment system, with support for only Apple CarPlay. The BMW 530e also offers more speakers (12 speakers) than the Mercedes-Benz (7 speakers). 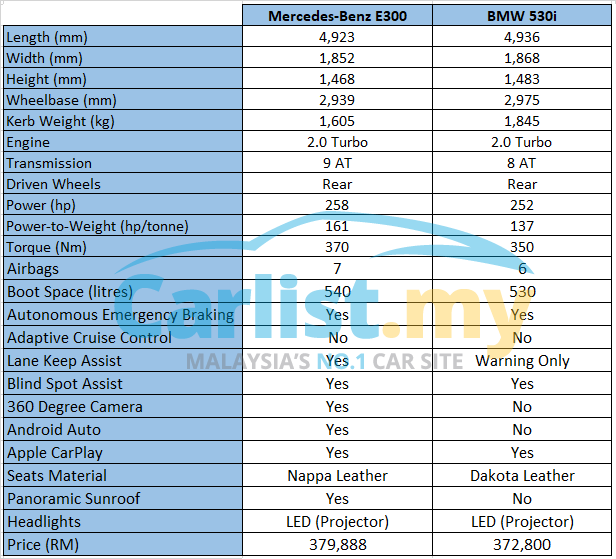 The Mercedes-Benz E300 Exclusive is priced from RM 379,888, while its closest rival, the BMW 530i is priced from RM 372,800. Power for the E300 comes from a similar powertrain as the E200, but tuned to produce 258 hp at 5,800 rpm and 370 Nm from 1,800 rpm to 4,000 rpm. Mercedes-Benz says that the E300 is able to complete the 0-100 km/h sprint in just 6.2 seconds. The BMW 530i outputs 252 hp at 5,200 rpm and 350 Nm from 1,450 rpm from its 2.0-litre turbocharged four-cylinder petrol engine. The 530i completes the century sprint in an identical 6.2 seconds. Safety equipment of the Mercedes-Benz E300 largely mirrors that of the E200, but with the addition of Lane Keeping Assist. The BMW 530i features slightly more safety equipment than the E300, as this model comes with Rear Cross Traffic Alert. Like its 530e sibling, the 530i comes with 6 airbags as standard. 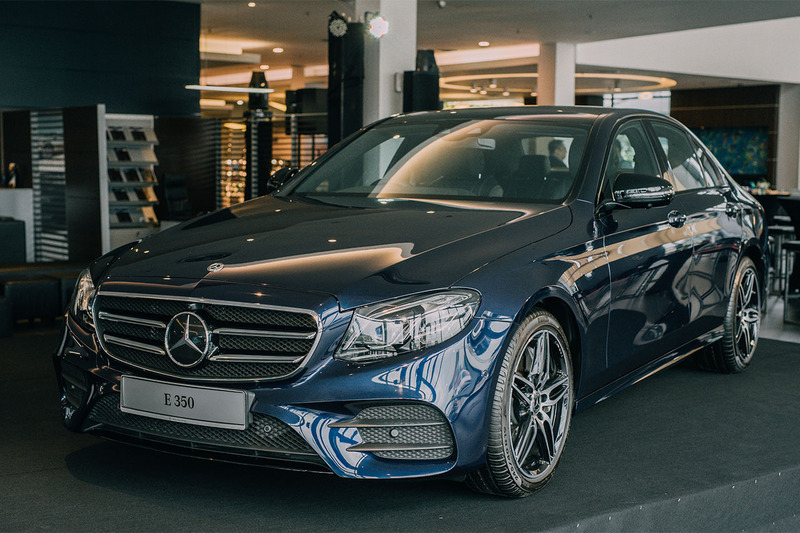 The Mercedes-Benz E300 features a more comprehensive list of infotainment equipment, as it gets a more sophisticated 12.3-inch Comand Online infotainment system alongside a 590 watt, 13-speaker Burmester sound system. As for the BMW 530i, this model gets a similar infotainment system to the 530e, but with the addition of a 600 watt, 16-speaker sound system from Harman Kardon. 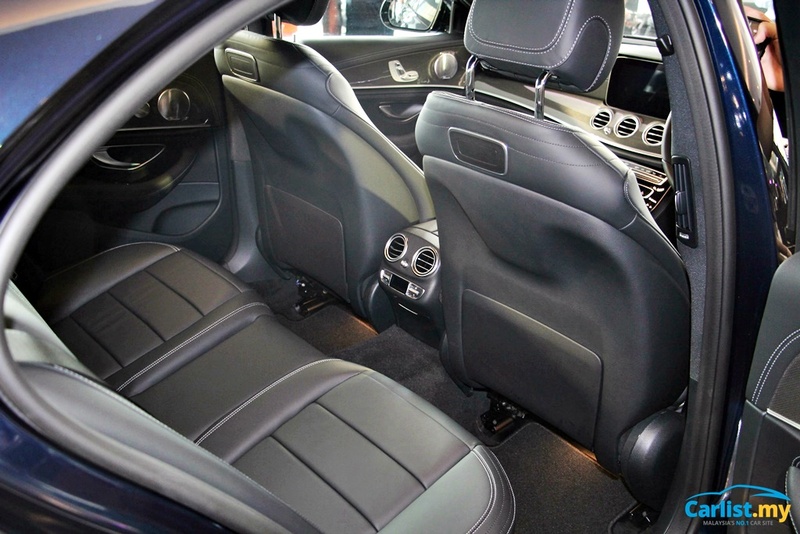 The highlight of the E300 is Nappa leather interior and an expansive panoramic sunroof, which the 530i doesn't offer. Last but certainly not the least is the mild hybrid Mercedes-Benz E350. Not to be confused with the now discontinued plug-in hybrid E350e, this E350 is a regular hybrid that doesn't require charging. Priced from RM399,888, this model has no direct rival from BMW Group Malaysia. The E350 is now a 48V mild hybrid, featuring a 2.0-litre turbocharged four-cylinder petrol engine that is now hooked up to a belt-driven starter generator (RSG).  Combined system output is 299 hp and 400 Nm, with the RSG itself contributing 150 Nm (output for the motor and engine are at different rotational speeds so avoid summing the figures numerically). Sprint from standstill to 100 km/h is achieved in just 5.9 seconds. 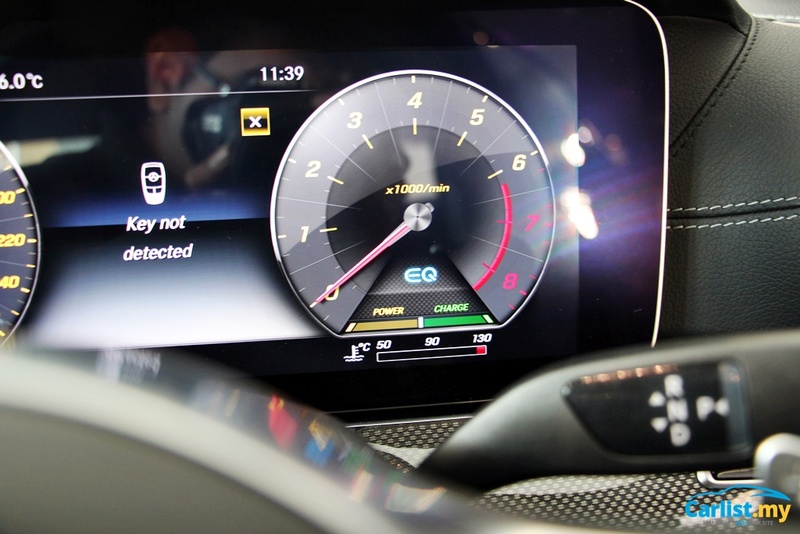 The E350 builds upon the E300's already extensive list of features to now include adaptive cruise control, wireless charging pad for compatible devices, and a 360-degree surround view camera system. The E-Class is covered by a 4-year/unlimited mileage warranty while the 5 Series counters with its 5-year/unlimited mileage warranty with 5-year free service. The Mercedes-Benz doesn't offer free service as standard but it offers comes with a very wide range of financing options, not just conventional hire purchase or leasing, but also Agility Financing options, some of which cover insurance and maintenance. 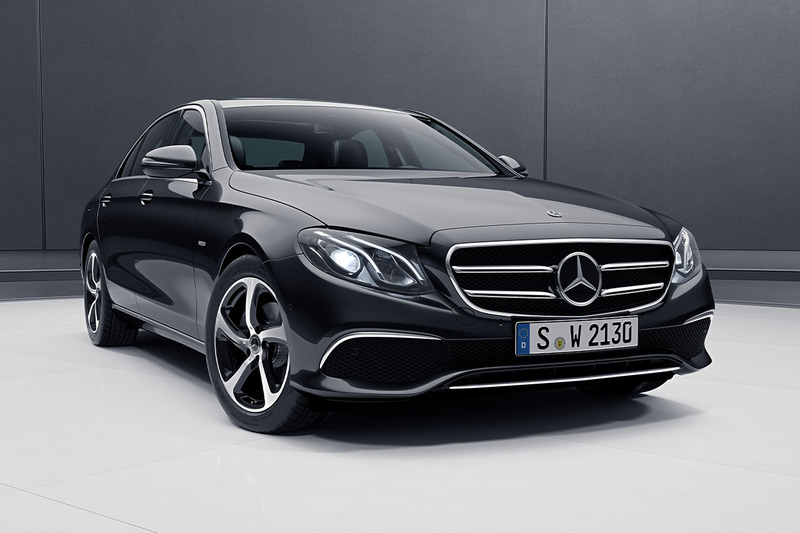 At the moment, the E-Class can also be had with interest rate as low as 1.88 percent (3-year tenure). More information can be found here.